various shades of pink, alternating with white, lavender and green. you can do someone a big favor by giving this bouquet. white and pink Lisianthus and white Veronica and beautiful foliage. 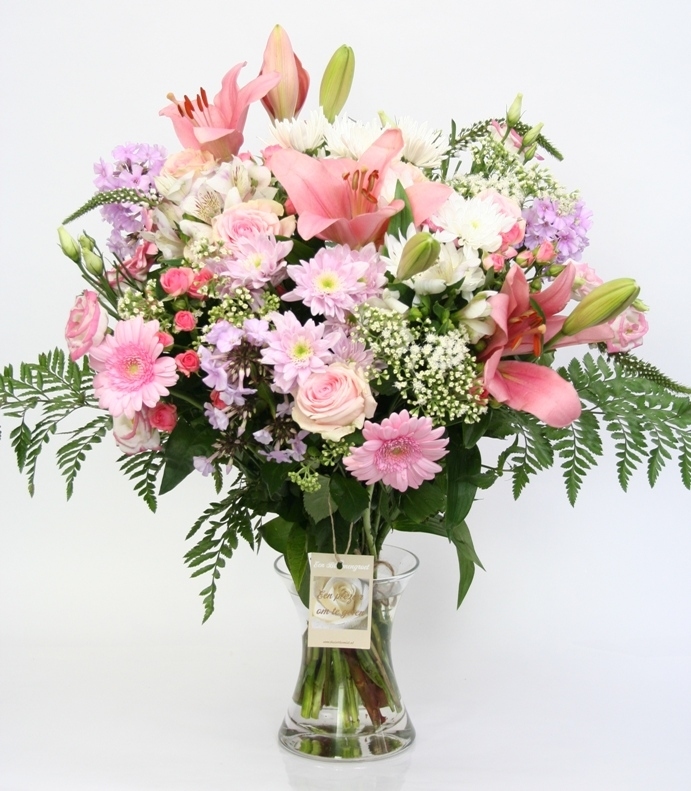 This bouquet of flowers can be ordered for delivery at home. certain individual flowers may slightly vary from those illustrated.